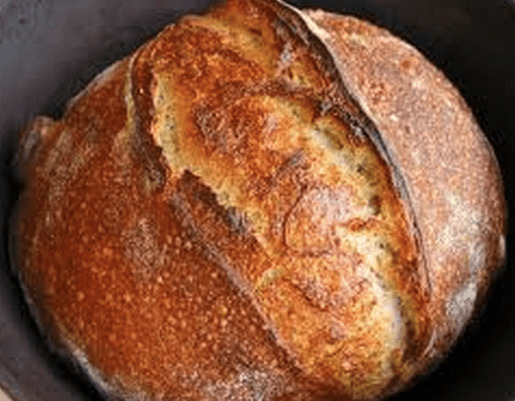 On today’s show I walk you thru the creation of my favorite bread, a rustic barely kneaded round loaf that is amazing! Everything about this recipe is terrific….especially the crisp outside texture and the perfect crumb inside. Super easy..just takes some time.